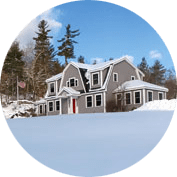 Southern Maine Law Firm | Fairfield & Associates, P.A. This is a key, core value and differentiator of Fairfield & Associates, P.A. We believe in the fundamental right to life, liberty, and the pursuit of happiness. We don’t template, we will tailor solutions unique to your needs and goals. We genuinely care about our clients and strive for successful outcomes. Fairfield & Associates, P.A. commands 14 years of quality legal counsel, 140 years of combined experience, 25,000+ successful cases, and 10,000+ happy clients. Watch the F&A Story video and see how we are accessible for our clients.